On the Beach! Great View! Rimflow Pool! Superb new suites! 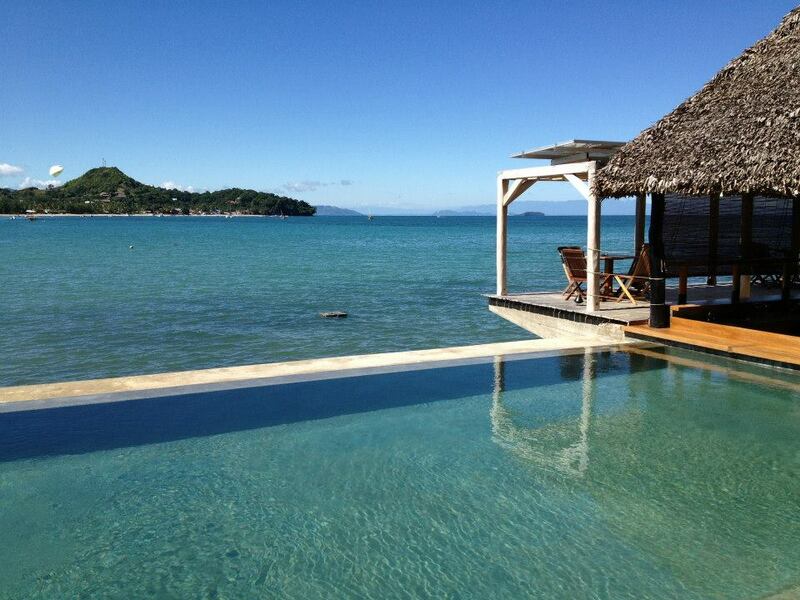 L'Heure Bleue Hotel in Nosy Be has grown and improved steadily over the 8 years we have been in Madagascar. This was where we spent our very first night on our first holiday in Nosy Be - so it will always hold a special place in our hearts. The simple wooden bungalows that we stayed in have been upgraded and very beautiful suites have been built over looking Madirokely Beach. The De Luxe suites literally ‘hang’ over the sea and are superbly decorated! There is a fresh water swimming pool as well as a sea water pool, beach bar, great restaurant overlooking the bay and a small spa. L'Heure Bleue enjoys the peaceful end of Madirokely, offering incredible views over to Tanikely and has friendly, efficient staff.